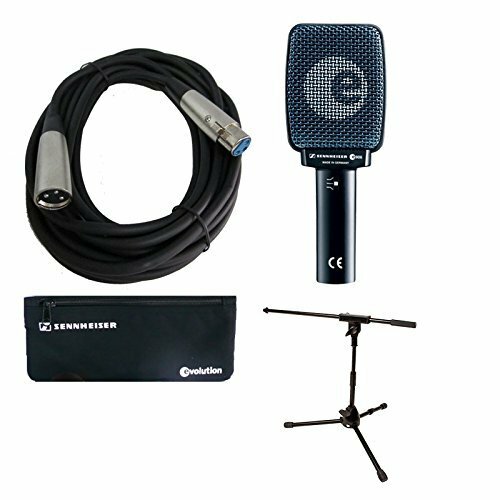 The Sennheiser Cardioid e 906 instrument microphone was especially designed for guitar amps and is also excellent for percussion and horns. The e 906 features a dynamic element with a supercardioid polar pattern that provides optimum rejection of off-axis signal and residual noise. The e 906 provides high headroom and low distortion when capturing signals at excessive sound pressure levels. The element responds to very fast attacks with extreme accuracy, without distortion. The e 906 is an excellent choice for guitar cabinets as well as percussion and brass instruments.